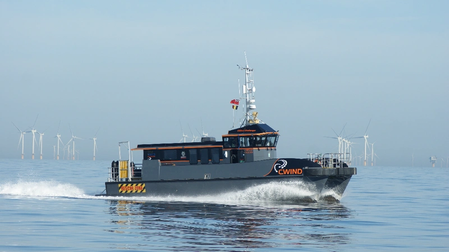 CWind, part of the Global Marine Group (GMG), a provider of topside, splash zone and subsea engineering services to the offshore renewables and utilities market, it has implemented CrewSmart’s management support service across its fleet of 21 crew transfer vessels (CTVs) and team of offshore wind technicians. The cloud-based CrewSmart system provides CWind with control over personnel and fleet administration, optimizing the overall efficiency of the operations team. In a rapidly expanding offshore wind market, as new projects come online globally, vessel demand has spiked, CrewSmart said, with pressure on service providers to deliver reliable, round-the-clock logistical support and maintenance. CrewSmart provides a single management platform that integrates directly with other mission-critical software tools. The system has been integrated with CWind’s existing vessel monitoring platform, BareFLEET, providing CWind with a single point of access to all performance data from across the fleet. Working with CWind, CrewSmart has developed a bespoke inventory management module and near-field communication (NFC) system, designed to support the company with maintaining an accurate inventory of all critical components, tools, spares and personal protective equipment (PPE). Through ongoing consultancy, and adapting the system to CWind’s specific requirements, CrewSmart said it has supported the business to reduce administrative challenges, and increase the focus placed on successfully delivering projects for offshore wind developers, owners and contractors.